The great mass extinction around 250 million years ago affected plants much less than animals. An article with this conclusion by Evelyn Kustatscher and Hendrik Nowak from the Museum of Nature South Tyrol together with Elke Schneebeli-Hermann from the University of Zurich is published today in the renowned scientific journal Nature Communications. The majority of animals – mainly sea creatures – fell victim to the worst known mass extinction in the history of life about 252 million years ago; land plants were affected to a much lesser extent by this event. This is the result that Evelyn Kustatscher and Hendrik Nowak from the Museum of Nature South Tyrol in Bozen/Bolzano (Italy) and Elke Schneebeli-Hermann from the Institute and Museum of Palaeontology at the University of Zurich (Switzerland) came to in their latest study. The details of their research are presented in the article "No mass extinction for land plants at the Permian-Triassic transition", which appears today in the renowned open-access scientific journal Nature Communications (www.nature.com/ncomms). 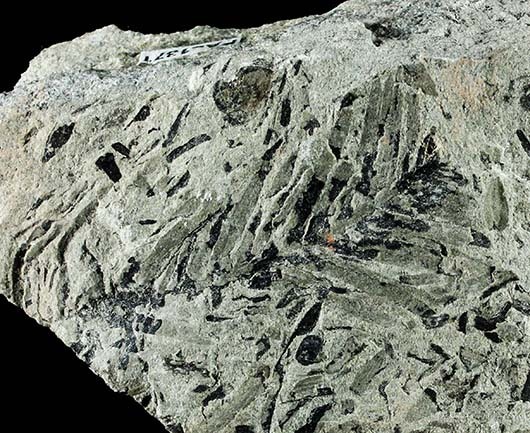 "Previously, it was thought that the great mass extinction at the Permian–Triassic boundary affected animals and plants alike, and that both responded in the same way to this event and its effects," explains Evelyn Kustatscher, "in the course of our study, on the other hand, we showed that this is not the case. Certainly, some plants went extinct at that time, but not even close to more than 50 percent of the plant genera and families living back then, as previously thought. This sheds a new light on our knowledge of the mass extinction." Quadrocladus sp. (ultimate shoot), a fossil conifer from the middle Wuchiapingian (upper Permian) Gröden/Val Gardena Sandstone in the Bletterbach gorge (Dolomites, Italy). 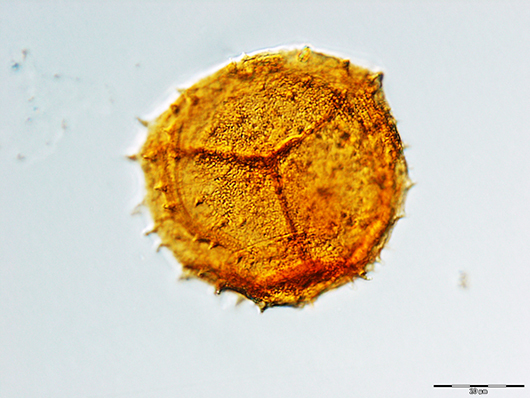 This result was obtained in the course of a two-year research study in which Kustatscher, Nowak and Schneebeli-Hermann collected and compared data from all over the world; The largest catalog of publications on fossil spores and pollen, the John Williams Index of Palaeopalynology at the Natural History Museum in London, was especially helpful. The goal was to understand what happened to the plants in the period between the late Permian (about 260 million years ago) and the Middle Triassic (about 235 million years ago). "We have analyzed more than 34,000 records of spores and pollen and more than 8,000 records of plant macrofossils," says Hendrik Nowak. On this basis, the three experts in palaeontology analyzed global biodiversity and its changes millions of years ago. "So far, microfossils of spores and pollen have never been used for such a global study," adds Elke Schneebeli-Hermann. But why did the plants react so differently to the mass extinction compared to the animals? "We do not have a definite answer to that," says Evelyn Kustatscher, "the reason could be that spores and especially seeds can lie dormant for extremely long periods of time before they germinate. Of course, this does not apply to animals." 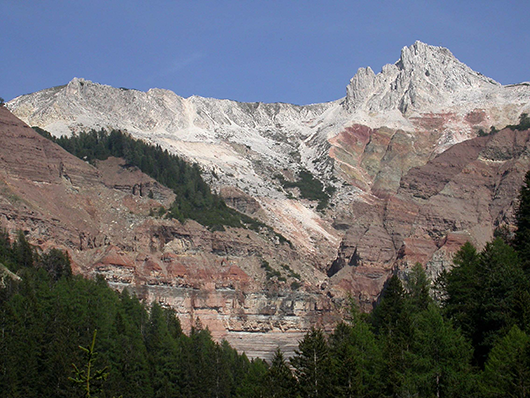 The study is part of the project "The end-Permian mass extinction in the Southern and Eastern Alps: taphonomic biases in different depositional environments", which is funded by the Euregio Science Fund.